I have to do a mini review for this book and not a full one because I don't feel strongly enough to rhapsodize about its strengths. I know that doesn't sound like a ringing endorsement, but I did enjoy reading Balthazar. The feeling, though, is the same that I got when I read the Evernight novels: I liked them, but it was a sort of mediocre like. 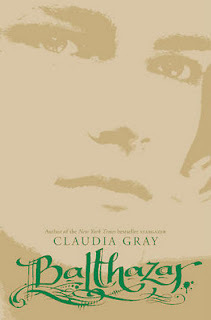 Claudia Gray has a very distinct writing style, and though this novel is told in alternating third person perspectives, it still has the same angsty tension that the other novels had. Having both perspectives also allowed for them both to be fleshed out as characters. Whereas in Evernight you had a Gothic boarding school setting, here you have the simpler high school with the usual drama (what I didn't like: the text messages about "Balty" from Clementine and more, but I won't spoil that for you). If you liked Balthazar in Evernight, you'll like him here too (good measure of the novel's success, right?). He's just as haunted, brooding, and tortured as he was then, only now you get to see the past from his eyes and read about the kind of misery he's endured. Once again, Claudia Gray introduces more than one villain in the story and both are unstable and bring a lot of conflict and eeriness to the book. The only problem I had with them was that the villains had one goal the entire novel and 300 pages of it make me feel like the danger wasn't as imminent/thrilling as it meant to be. For me, that also highlighted what seemed like a slow pace. 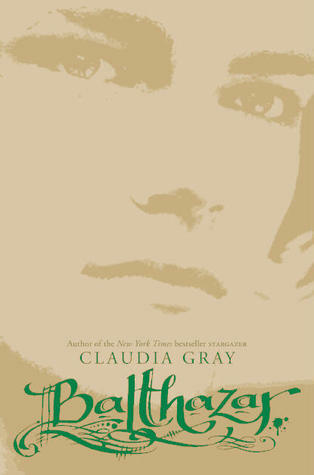 Something else that I've come to associate with Claudia Gray's writing style are characters arcs culminating in the plot arc. I don't know if that makes sense but basically Skye has to deal with her psychic powers and Balthazar with his past, and both of their issues relate directly to the main plot of the book. So what this ultimately meant for me was that the characters were fleshed out while the story continued to move forward. As in the Evernight series, there's plenty of romance and of the same type too - the protector and the girl with the unusual powers. Lots of tension and almost kisses and quick love and full on moments in this book. Most of my confusion came from the fact that I read Afterlife a long time ago and so I don't actually remember how much exposure Skye and Balthazar had before then. 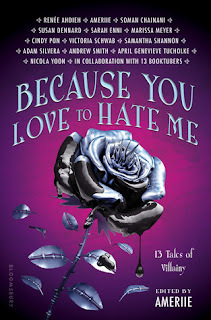 There are some mentions and it is a stand-alone, so you don't have to read the other novels to understand it either, but to be honest, Skye hadn't made a huge impression on me back then so I was still a little confused. And also a bit skeptical 'cause Balthazar seemed more enchanted by the prospect of female company than specifically because of Skye's personality. For those of you who are wondering, yes, there are a couple of cameos from other Evernight characters, but they're pretty short. In short, the problems I had with Balthazar were the same that I had had with the Evernight series at large... but they didn't detract completely from my enjoyment of the novel. I feel fairly certain saying that anyone who enjoyed the Evernight series will also enjoy Balthazar. Ooh that reminds me - I prdered teh first three books of this series. Hopefully I'll enjoy them! EVERNIGHT was the best of all the three IMO but I hope you enjoy them too :). i do feel pitty with balthazar...he is a good guy but he can't get the girl whom he loves..